is a direct response to my deep intention to serve others, to offer and share what I have learned, and continue to learn. I envision this blog to be a map, a guide for you to be able to ask the questions, have the tools, and do the work needed to come closer to living your version of a prosperous life. What can you expect to receive from this blog? Claiming Prosperity offers valuable ideas and practical strategies. The ideas serve as seeds planted into consciousness, which will trigger action and change. The strategies can be easily implemented. You can expect to understand how to master the tools used to claim prosperity in your life. Most importantly, you may find a unique perspective that looks at prosperity from a physical, emotional, and spiritual level. I don’t profess to be a guru or expert on any level. I am simply someone who has been on this path and asked these questions of myself, personally and professionally, and have seen miraculous results. This blog is part of my process, my journey to reclaim the prosperous state that we were all born into this world with. This is a journey of re-membering, of re-awakening the sleeping giant within, so that life can be a fun, dynamic, and an alive experience on all levels. 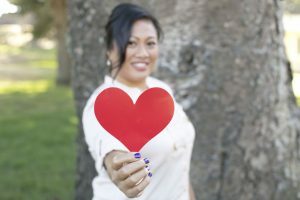 If you are reading this right now, thank you for allowing me to connect with you, and your heart through this blog. My greatest wish is that we become soul friends, continually growing and learning from one another. What’s your money personality? Download this free quiz that is the first step in living a prosperous life. You will also be getting a bi-monthly newsletter in your inbox to keep inspiring you to live a life ON purpose AND out loud. If you find it’s not for you, unsubscribing is just a click away.